What UI Tweaks Have Improved Your UX? Hey guys, I absolutely love my G2. However, I do agree with something I've read in several reviews: UI tweaks improve the experience of using the phone. Personally, I've gotten rid of QSlide in my notifications panel, and I turned my "Front Touch Buttons" Theme to Black Gradation. I'm sure there's even more room for improvement. What tweaks have you guys done? Thanks in advance for responding! Re: What UI Tweaks Have Improved Your UX? In addition to what you've done, I've also edited the function switches which appear in the notifications pull down. To take it a step further, on the second day I had the phone (may have been on Friday the 13th, lol) I rooted it and used Auto Hide Soft Keys, mainly so I could use the entire screen for The Pinball Arcade. Other than the usual widget tinkering and moving icons around, I haven't done much else, nor have I felt the need to. It's been pretty functional in the stock UI for me and snappy to boot. You can enlarge the size of your most used go-to apps or use your own pic from gallert in icon edit mode. I like the stock ui for the most part. I switched to nova launcher because although I loved that stock launcher, i'm sick of the constant redraw from it. since I'm rooted, I've also installed a few mods... since I'm on Verizon, we didn't get the full black status bar, so i installed the mod to turn black gradation into full black, along with the drop down bar being full black. then, I installed the mod to make the soft keys really small so i get more screen space. love it. What exactly is redraw? The flash of the screen when it starts up? I love nova and miss a lot if it's features but no transparency option is a deal breaker. I guess black is an improvement over grey but still looks ghetto imo. If rooting wasn't so risky I may have tried it out. 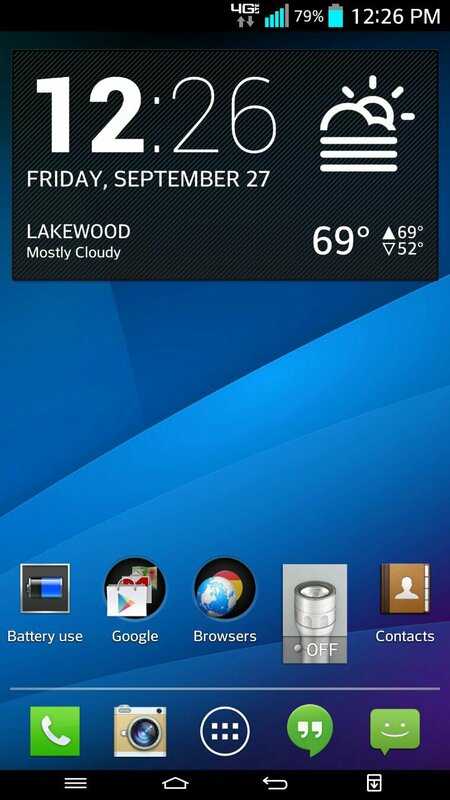 Besides I thought android was all about customization? I didn't know I needed to be dev savvy to use home made hacks to customize my phone.